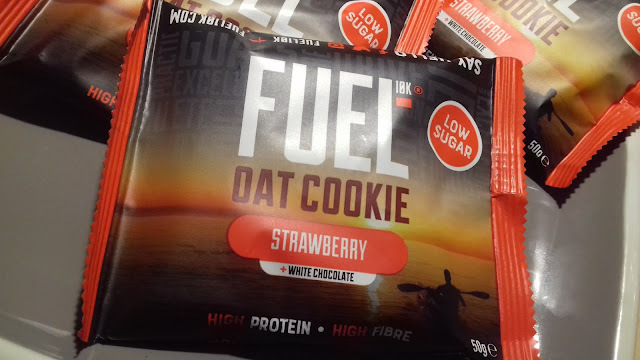 I love cookies so when I received a little box of goodies from Fuel 10K, I was overjoyed to see that it was filled with their oat cookies. 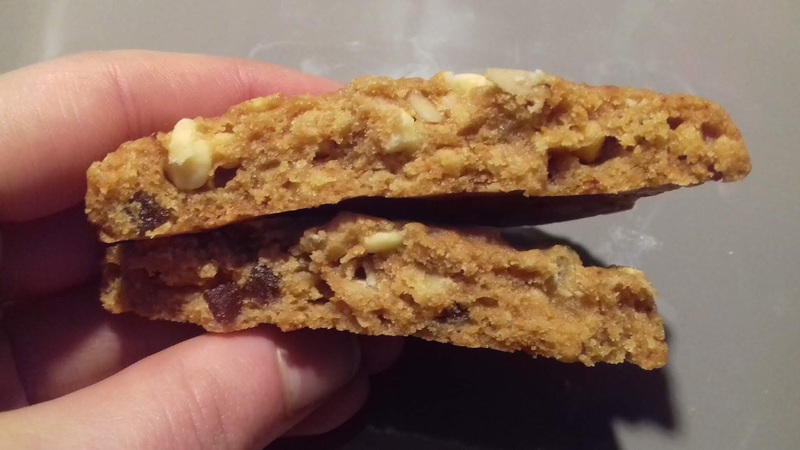 High in fibre, protein and low in sugar, this "breakfast" cookie (yes, cookies for breakfast!) seemed to be of similar nature to the golden syrup and berry Quaker breakfast bars I have tried before. Each cookie is individually wrapped and in a case, you are given 12 cookies. 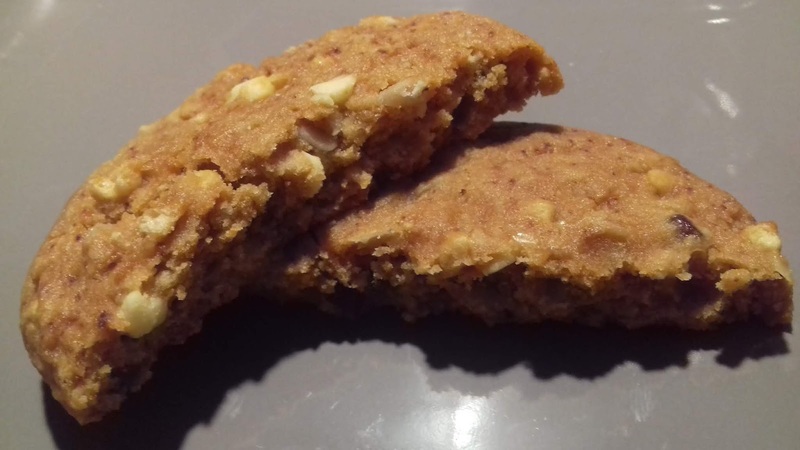 At a little under 200 calories per cookie, these 50g treats are contain oats, white chocolate chips and even little strawberry chunks too. 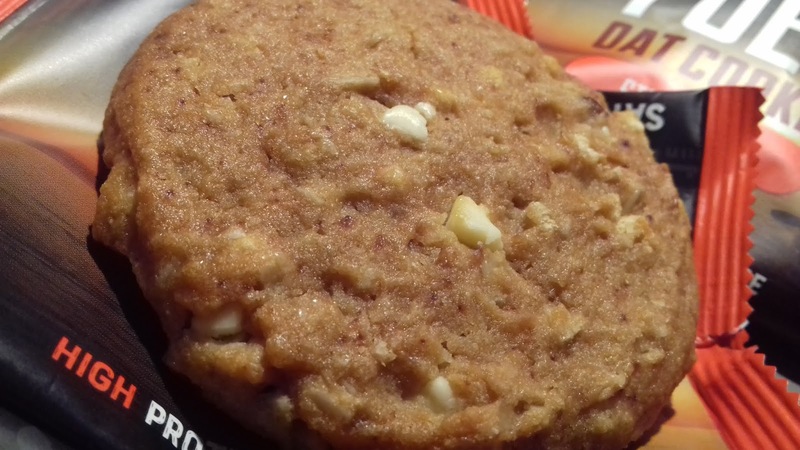 It is not a very big cookie but is quite chunky but ever so soft. Strawberry is not my favourite flavour but I was willing to give it a go. I wouldn't eat this for breakfast personally but it is a little bit like a bar of porridge only nicer. As I mentioned, strawberry flavoured confectionary is not my go to but it was not an overwhelming flavour. 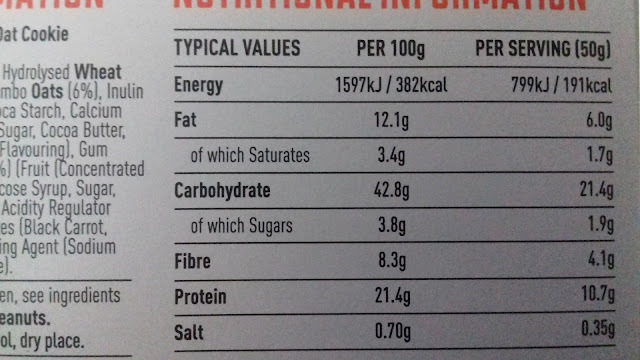 It was definitely strawberry but not as over powering as I thought it would be. There was a hint of white chocolate but I loved those chocolate chips so much that I wish there were a few more throughout the cookie. The bit I didn't like were the strawberry chunks; I was not a fan of the taste nor the texture. A closer look inside! Check out those chips and chunks! Overall I really like this cookie and it is my favourite of the 2 (yes, I got 2 flavours! Eyes peeled, the other one will be reviewed shortly!) It was soft, oaty and truley a delicious, low sugar treat. I would recommend this goodie, especially for gym goers as I can see it giving you a great boost. Comment below if you have ever tried this cookie and what your thoughts on the strawberry bits were!? 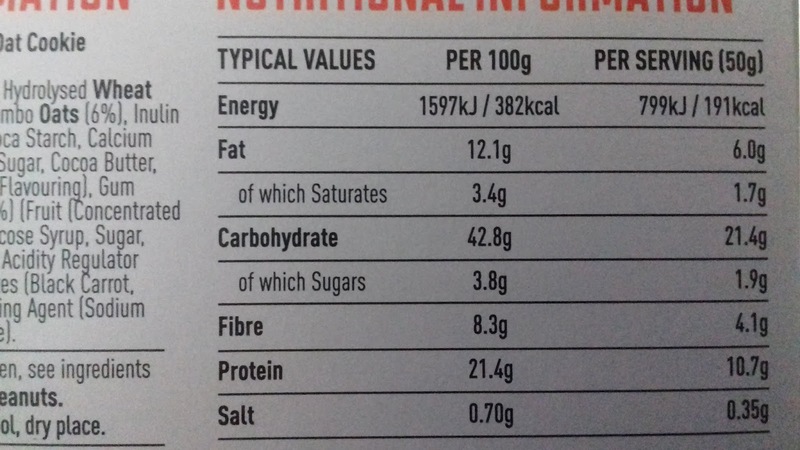 This product was sent to me by Fuel 10K to review. All opinions are my own and they cannot be bought or bribed. This review is 100% honest and portray my genuine thoughts. The Delicious Dish is a food blog written by food lover Emily. I love food; both creating and eating it so grab a bite, put your feet up and enjoy my favourite recipes and reviews!